In 2019, the construction industry continues to evolve in multiple areas, including technology, safety, project management, and environmental practices. And while change can be difficult, it’s important to realize that many of these trends will make construction work more efficient and profitable in the long run. By adapting your company’s priorities and practices now, you’ll be well-positioned to maintain a competitive advantage in the future. 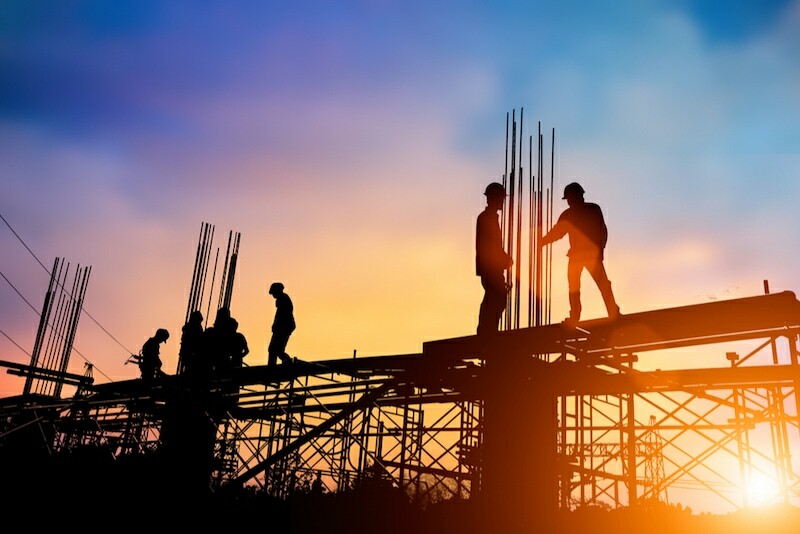 Here are six trends for construction businesses to be aware of in 2019 and beyond. Building material costs will continue rising this year. This trend began at the end of 2017 and it likely won’t end anytime soon. The highest cost increases are currently in steel, manufactured steel, softwood construction lumber and iron. This affects the whole construction supply chain including suppliers, wholesalers, partners, and customers. When planning projects, industry professionals will need to take extra care to forecast increased material costs. Construction firms should consider implementing technology solutions that connect with their inventory levels and offer functionality to take advantage of real-time buying opportunities. By monitoring market highs and lows, you can ensure you’re making educated and calculated buying decisions. Automation is one of the top emerging changes in the construction industry. For example, companies are increasingly using automated solutions for creating pre-fabricated concrete or wood frame structures. By streamlining and automating manual, repetitive tasks, employees now have more time to focus on what really matters: developing competitive strategies and producing successful outcomes. While many organizations may fear the rise of automation, you should strive to embrace it. By taking early advantage of this industry transformation, you can ensure that your business stays one step ahead of your competitors. When people hear the word “technology”, their first thought is often computers. But technology in the construction industry isn’t limited to the back office. We’ll also continue to see new technology developments on worksites. One key area for technological advancement will be safety equipment. Some companies already offer smart work boots that come equipped with GPS transmitters. This innovation allows supervisors to find workers who are slowing down because of fatigue or who have suffered an accident. In addition, expect to see more cooling vests, moisture-wicking fabrics and robot surveying equipment. Beyond new technology for construction workers, support for new types of building technology continues to increase. For instance, there is a growing interest in prefabricated, modular buildings. Modular homes appeal to consumers because there is no on-site construction to impact the landscape and development occurs faster. As an added benefit, these structures can be moved in the future if the owner finds a preferable parcel of land. Selling to Millennials isn’t an easy task, so you must get creative. One strategy is to appeal to younger consumers’ interest in environmental preservation. More and more construction companies are focusing on creating sustainable practices and highlighting the ecological benefits of their products. For example, many suppliers are now offering green alternatives to popular construction materials, such as hempcrete — a hemp-based concrete alternative that produces fewer emissions and is completely biodegradable. But going green doesn’t just mean using recycled or upcycled materials — it also means being efficient. Cutting down on energy consumption, material waste, and pollution is also key to being sustainable and environmentally responsible. These crewless aerial vehicles are becoming more sophisticated every year. Better yet, the prices of these high-quality systems are becoming more affordable than ever. Construction management software increases project efficiency and accountability by allowing you to access essential communication and documentation on the go. The software also helps to streamline day-to-day, time-intensive tasks. This leaves you with more time to focus on the big picture — your company objectives and key results. As we move forward, we will continue to see even smaller construction companies taking advantage of integrated software solutions. In a rapidly changing industry, it’s more important than ever to ensure that your projects stay on time and on budget. No matter the size or focus on your construction company — big, small, residential or commercial — your best bet is to start with the basics. Look for technology that will help you manage your customers, streamline estimating and invoicing, and minimize inefficiencies. From there, you can layer on additional technology to enhance your operations. Taking advantage of the changing construction landscape will ensure your reputation as an industry leader and innovator. Your company is ready to reap the benefits — all you need is the right tools to get started. Experience the benefits of a CRM for construction.